Rachna's Scriptorium: How Do I Write My Story? I like Black Snyder's Beat Sheet. Not that I always follow it either. That sounds like the basic outlines we've studied a little bit for writing plays in my Playwriting class. I don't use a set method. Usually I can tell when the plot isn't working quite right, and I fix it. 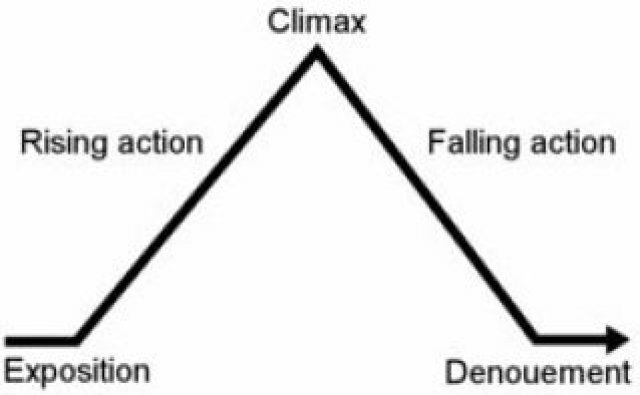 My basic format would probably be: inciting incident, complications, small victory, climax (point at which the protagonist is furthest from his/her goal), final push, denouement. That's for short stories, mostly. For flash fiction it's harder to describe because the plot is so simple, yet still nuanced. For a novel, I would have a more complex plot structure. I must confess to not being the most efficient at planning, my stories tend to evolve! I am a fan of mind-mapping to pull my ideas together though. Very interesting post, Rachna. While I do outline, I wish I could say I was that systematic. I think in my next novel I should try that. Thanks for sharing. I'm not very systematic and need to do more of it. I really like your approach. That's a great basic outline. 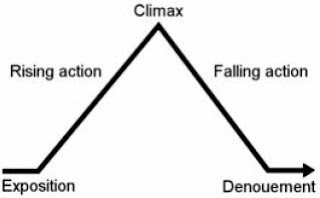 I plot the opening, mid-point, and ending, with at least one major plot point between each, and 3 to 5 smaller points between each of those. From there I develop character individually and fill in scenes as the come to me, mostly writing chronologically, but not always. I think my subconscious does most the writing. A lovely post that serves well someone like me. Almost missed reading due some frantic traveling. I use a very similar basic outline. Like you, I'll start with the inciting incident and have a rough idea of the end. I'll also know who most of my key players are. However, as I write the three acts, the end will often change. I trust in my characters and where they lead me. I outline novels. With short stories I sometimes know how it will end, sometimes I make it up as I go and sometimes I change my mind about the planned ending and do something else.